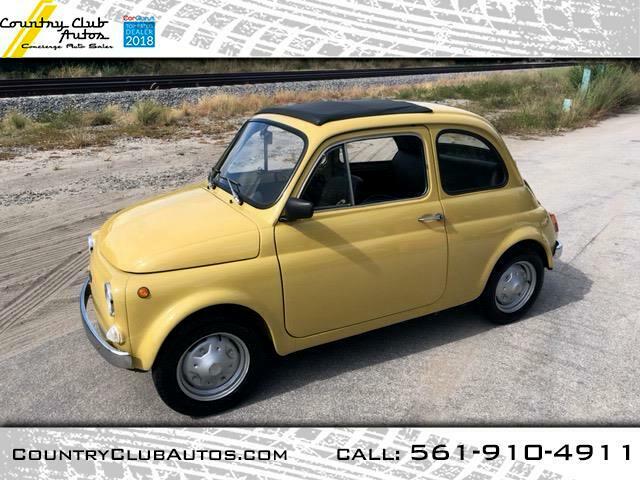 1974 Fiat 500R 2 Door Couple Yellow with Black Trim and Sliding Sunroof 594cc 23HP 2 Cylinder Motor 4 Wheel Hydraulic Brakes 12" Steel Rims with Continental 125-R12 Tires. This Fiat R appears to have been well taken care of and always maintenance in accordance with the manufacturer recommendations and specifications. In addition to the noted condition, this 74 Fiat 500 R had all the standard equipment expected on this economy car and has the desirable synchro gearbox. The fair market value of this 1974 Fiat 500R is based on the average selling price of similar vehicles available in the market place. Message: Thought you might be interested in this 1974 Fiat 500.